I am quite a creative person, like to be doing arts and crafts. 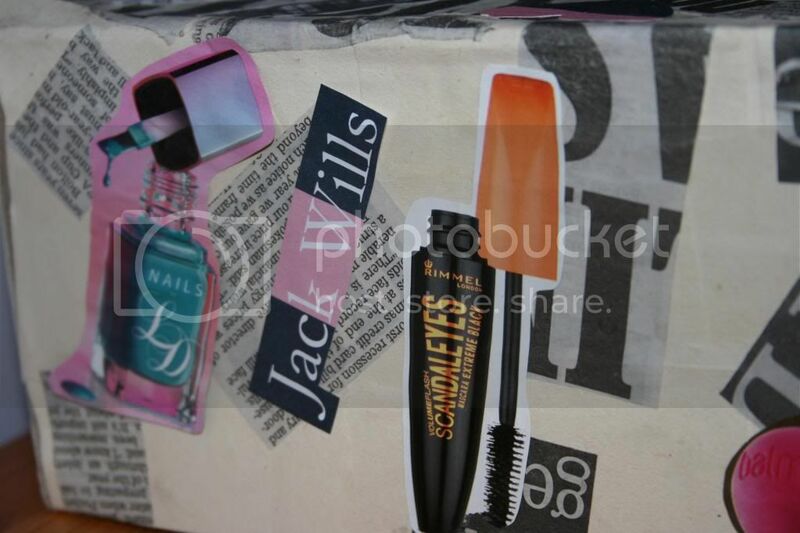 I had collected quite a few magazines for example: Glamour, Boots Magazines, Dare (Superdrug), Jack Wills and Lush. If you saw in my "Where I blog from" post, on my desk is a post which is created from old newspapers. 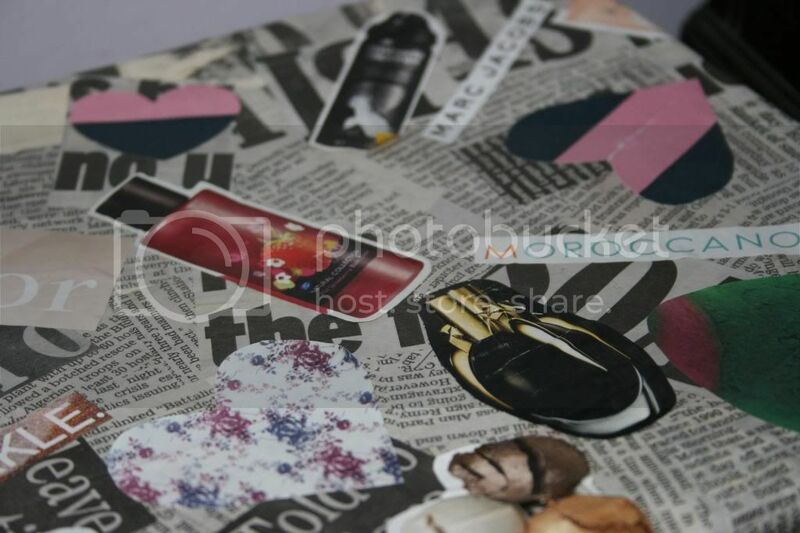 I thought I would do the same to this box, but add a beauty touch to it using some of the old magazines. The top/lid of the shoe box was quite dark, and when you laid the newspaper squares on it, you could see the box underneath. I got some lining paper (heavy wight paper which is un-sized), cut that into squares and glued them with PVA all over the box. Next I let that dry for a couple of minutes. Whilst it was drying, I cut out squares of interesting clippings, some of the newspaper titles were inverted. I really liked the effect/contrast of the different styles. So I stuck those on. I flicked through some of the magazines and found some interesting pictures, soap and glory, real techniques brushes, candy mountain from lush, lots of Barry M nail polishes, perfume, Aussie and lots of words. For example, 'Nailed!' I thought this really suited the box, since it contains all my nail polishes, nail brushes, dotting tools etc..'Sparkle' was a nice one too as I like my glitter polishes. 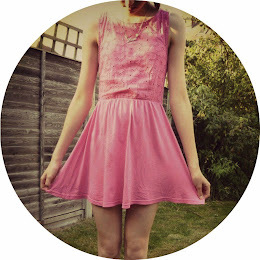 I really liked the outcome of this craft and want to add other pictures to it when I see them in certain magazines. This is a great way to use up old magazines that are lying around collecting dust and are pleading for a good use, rather than being dumped in the paper wast bin.